RAIDERS look set to dominate Saturday night’s Victoria Oaks heats at Tabcorp Park Melton. Although there are talented locals to offer resistance, the visitors appear to have strength on their side. The outsiders will be lead by Belle Of Montana and Smart As Camm Be, which are the early favourites in the first two qualifiers. Among the best of her crop in New Zealand, Belle Of Montana boasts the imposing record of five wins and a second from seven starts. Prepared by champion horseman Barry Purdon, Belle Of Montana’s victories include the Group One Sires’ Stake Championship and the Group Two Ladyship Stake. Drawn the outside of the second row, the daughter of Bettors Delight was a last-start second in the Northern Oaks six weeks ago. Talented New South Wales filly Miss Streisand should have little trouble qualifying for the Final after drawing well in barrier two. 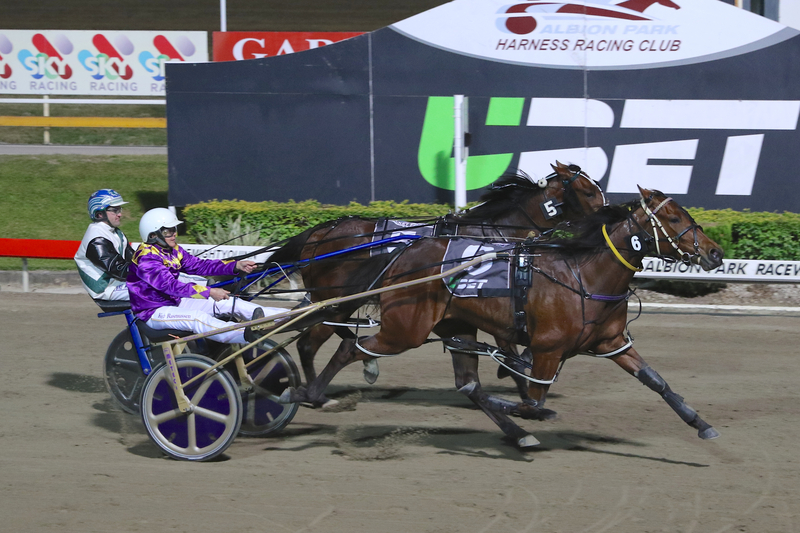 Unbeaten from five starts this season, Smart As Camm Be has drawn wide in barrier six for trainer Kylie Rasmussen. An effortless winner of last weekend’s Qbred Final, the daughter of Cammibest has built an impeccable tally of 10 wins and a third from 12 starts. The Queenslander will be joined by handy New South Wales youngster Bettor Robyn which will come from gate three. Locals have been better served in the third heat, with Kualoa the one to beat despite her inside of the back line draw. One of four entrants premier trainer Emma Stewart has in the series, Kualoa has been kept fresh since her sixth in the New South Wales Oaks on March 2. In what shapes as an even affair, Kualoa’s opposition includes Arabella Star, Tangoingwithsierra, Soho Nolita and Wellsaidlucy.